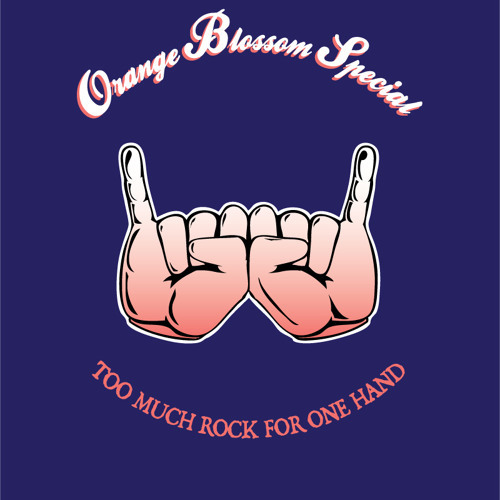 Orange Blossom Special is a high-energy Rock n Roll band that can best be described as a Full-Tilt Explosion of Fun!!! The Orange County-based band made up of brothers, Anton (guitar/vocals) and Alan Hoetker (bass/vocals) with a revolving door of drummers, takes inspiration from the best of Classic Rock guitar licks with the punch and voltage of ‘90s punk. Imagine a potent cocktail of Lynyrd Skynyrd meets AC/DC with Billie Joe Armstrong driving the rhythm for extra muscle. The band is fresh off the road from their 2nd US/Canadian nationwide tour in support of their debut record “Cocktails & Treasure Maps”; where they had the opportunity to share the bill with Avenged Sevenfold, Three Days Grace, Seether, Bullet for My Valentine, Sevendust, Black Tide, and Hell or Highwater for 2 months as the Official Party Band for the Rockstar Energy Drink Uproar Festival. Orange Blossom Special was also selected to open the 1st annual 48 Hours Festival, ”The World’s Biggest Rock n Roll Party Weekend,” in Las Vegas, NV featuring the above mentioned bands as well as Korn, Godsmack, Hollywood Undead, and Sick Puppies. In a short time, with no label, management, or financial backing, Orange Blossom Special has started to make a name for themselves while leaving a lasting impression in the minds of those who have witnessed their anything goes live show. The band lives by the motto: “Any place, anytime, anywhere! Play every show like it’s your last and leave it all on the stage.” Orange Blossom Special is made up of three guys playing their hearts out and loving every minute of it. Welcome to the PARTY!